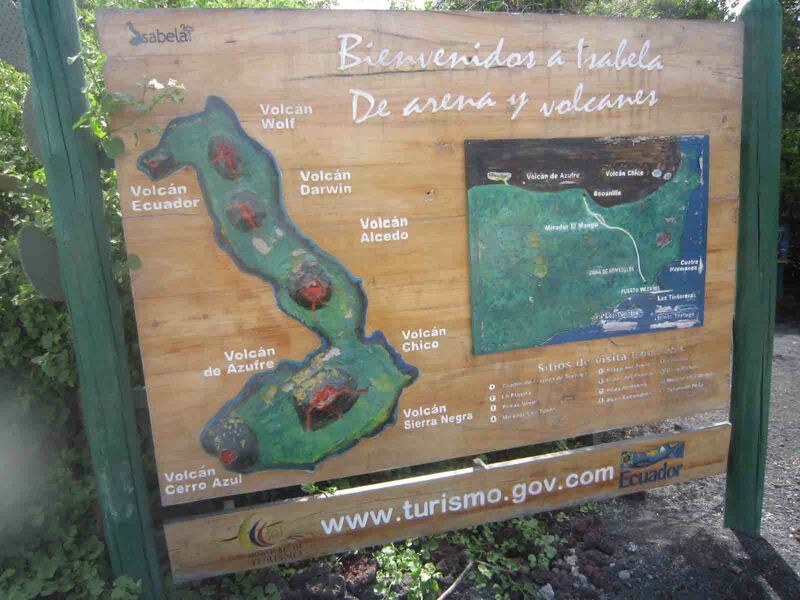 Since we chose not to do a cruise, throughout our trip, we stayed in Puerto Ayora and took day trips to other islands. 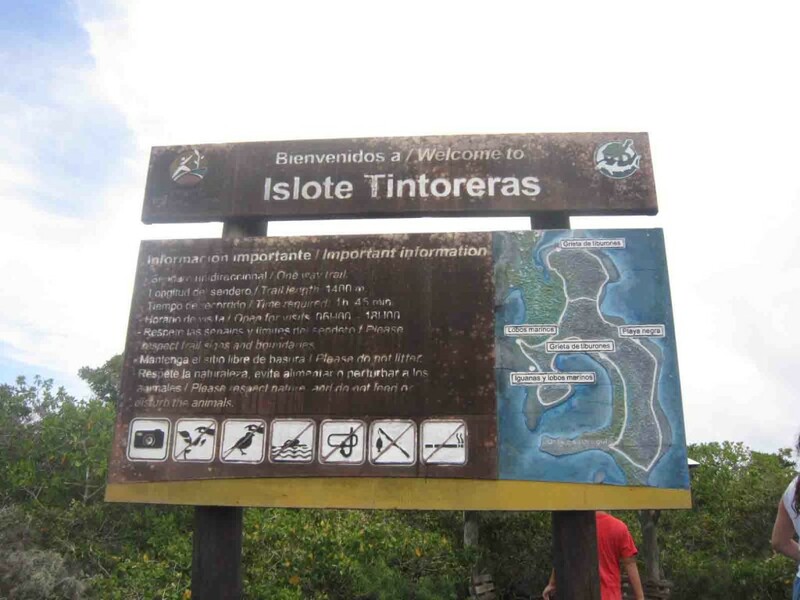 Isla Isabela was one of our top picks, however, due to the limited ferries that operate between Santa Cruz and Isabela every day, it was difficult to travel there independently especially if you weren’t planning on staying the night. 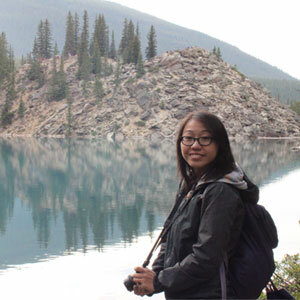 Consequently, we decided to go with a tour instead. 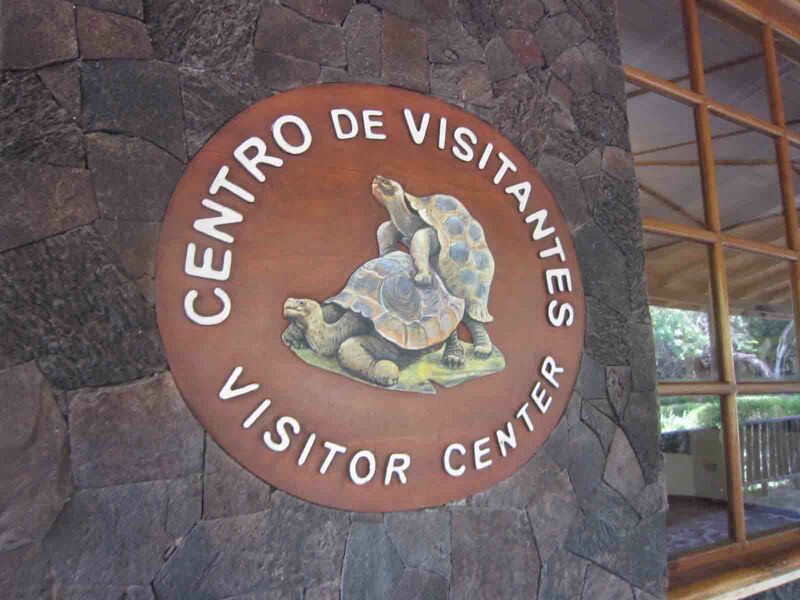 Although the downside with that is we didn’t get to do everything we wanted but we still managed to see some cute Galapagos penguins, giant Galapagos tortoises, and blue-footed boobies! 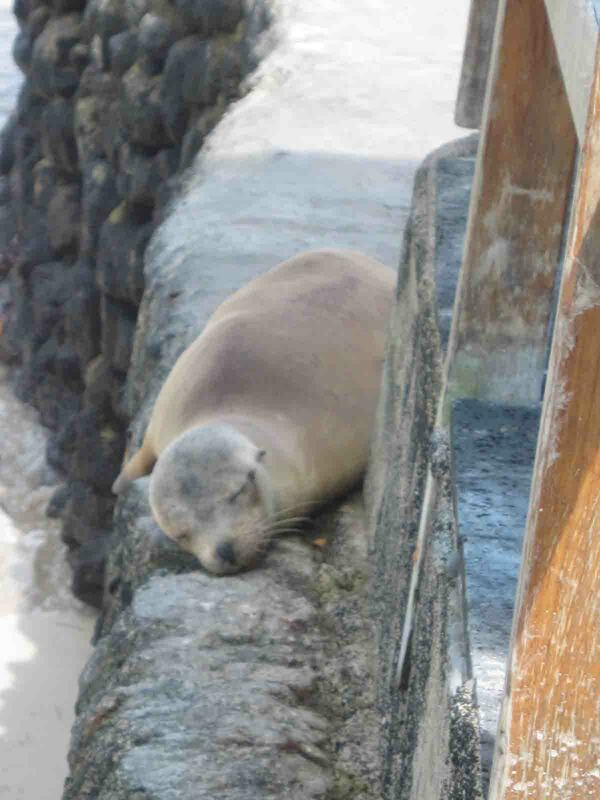 Once we arrived, we were welcomed by a super cute sea lion sleeping on the dock waiting for us! 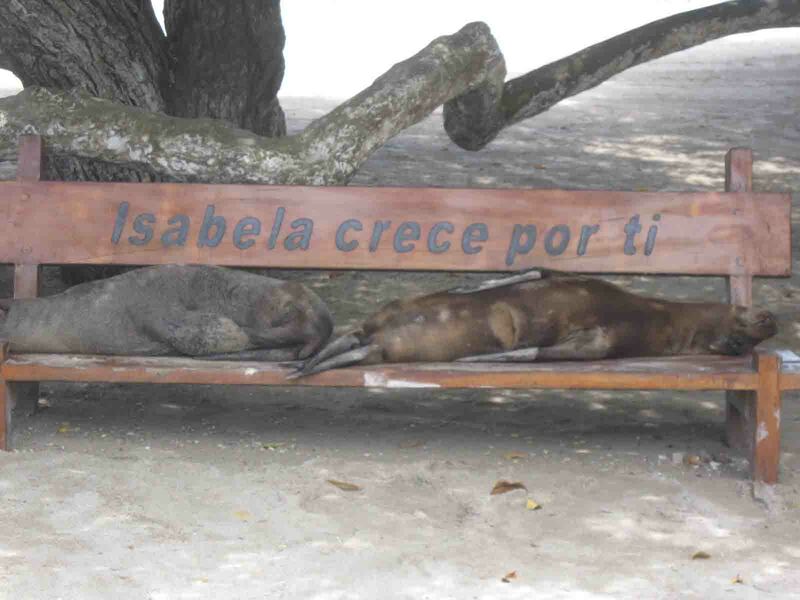 Actually, we noticed there were tons of sea lions lying around…some sleeping on boats and some on benches….look how adorable they are! 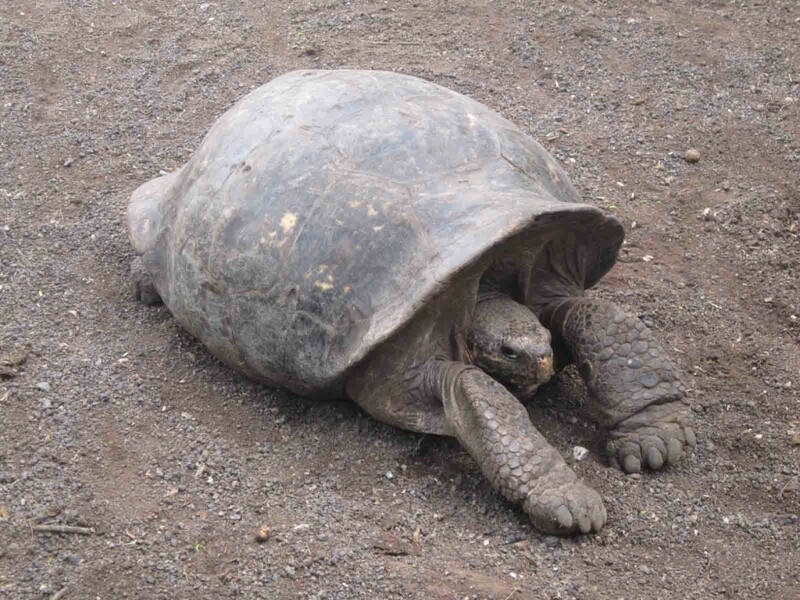 Not long after we landed, a safari vehicle came to pick us up and drove us towards our first attraction: the largest Tortoise Breeding Center in Galapagos. 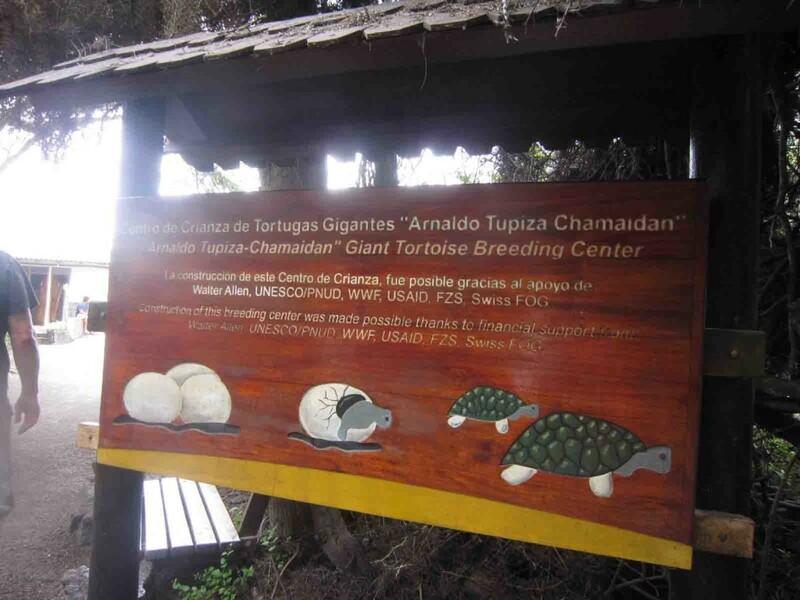 At the entrance, we were greeted by many baby giant tortoises. Unlike their older counterparts who barely moved, these youngsters were very active, walking around their fenced area and munching away their food. 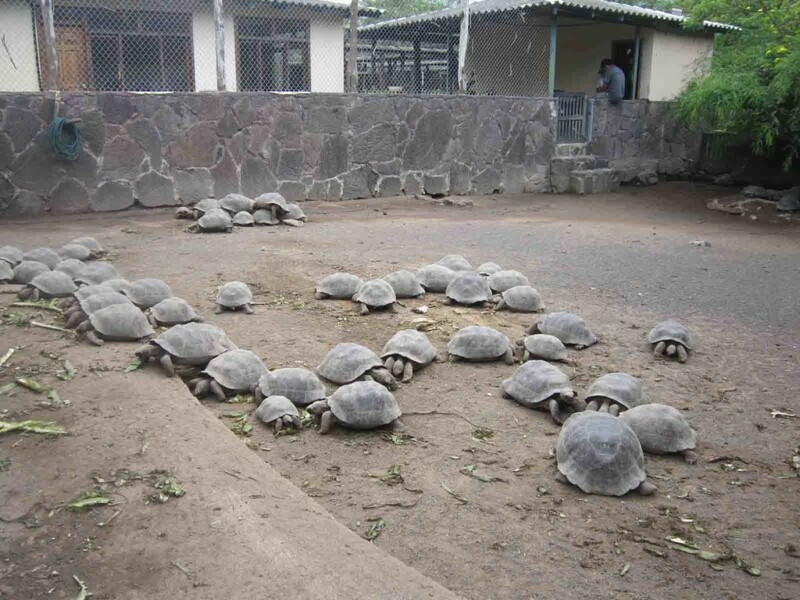 Take a look at how cute they are here! 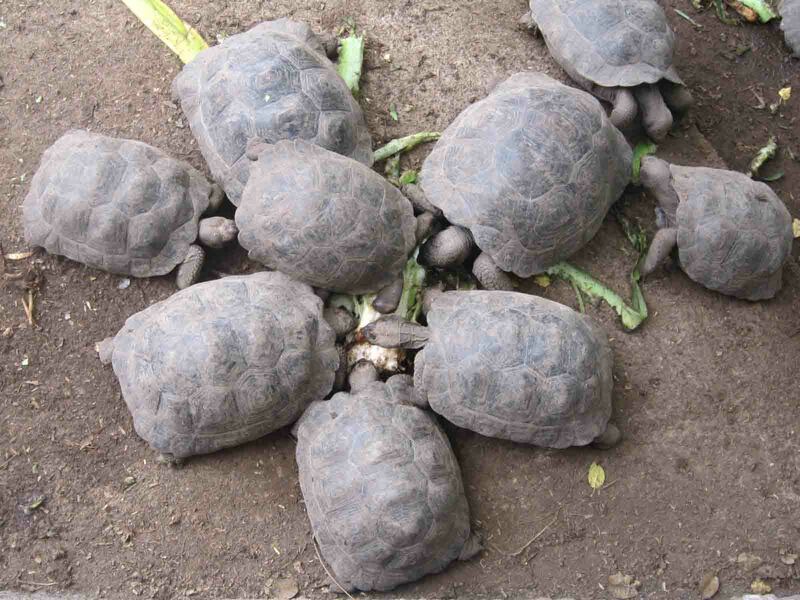 We also captured another video where two baby tortoises were having a little race amongst themselves! 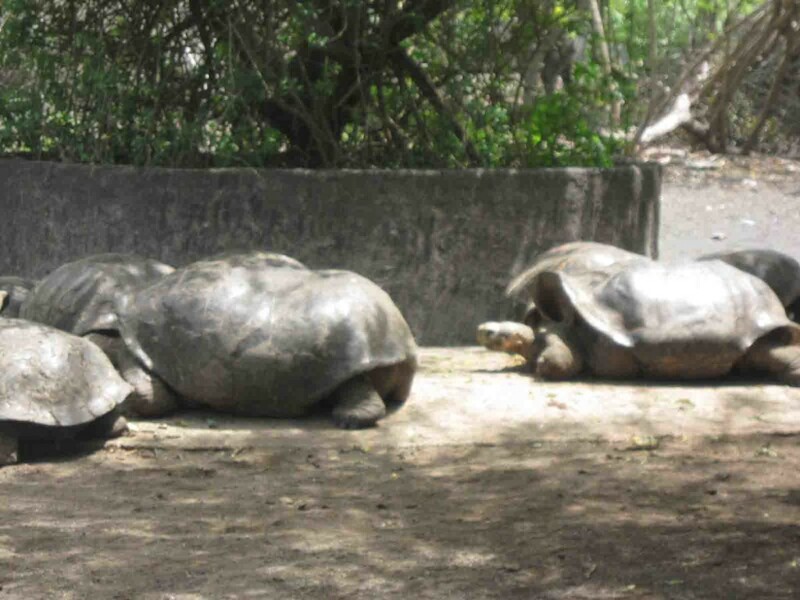 As we continued the tour of the breeding facility, we encountered larger ones and also came across several species of giant tortoises. 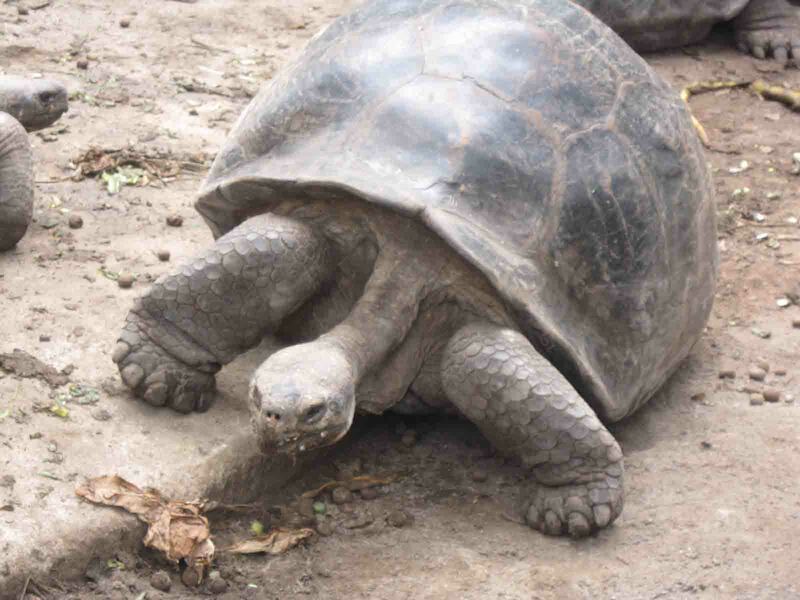 For instance, the one shown in the image below has a concave shell! 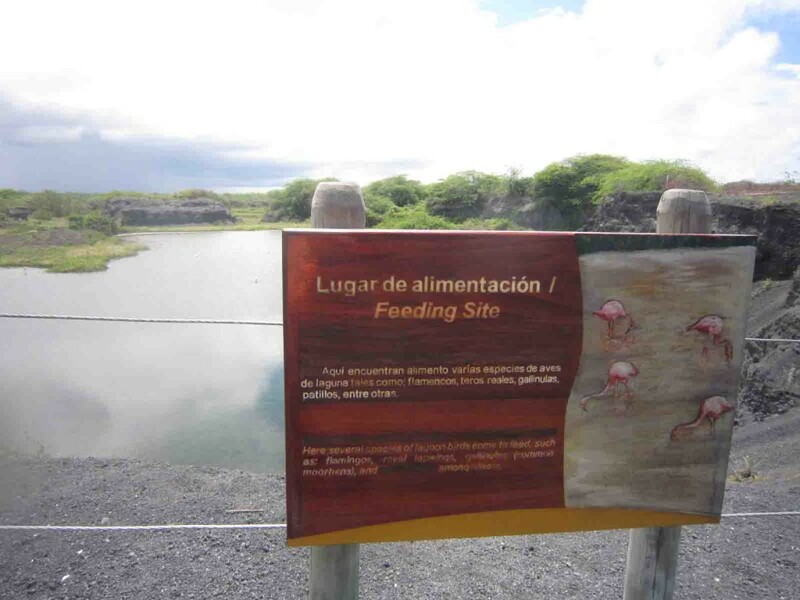 The next stop of our tour was to a flamingo lagoon, which was located only 10 minutes away. 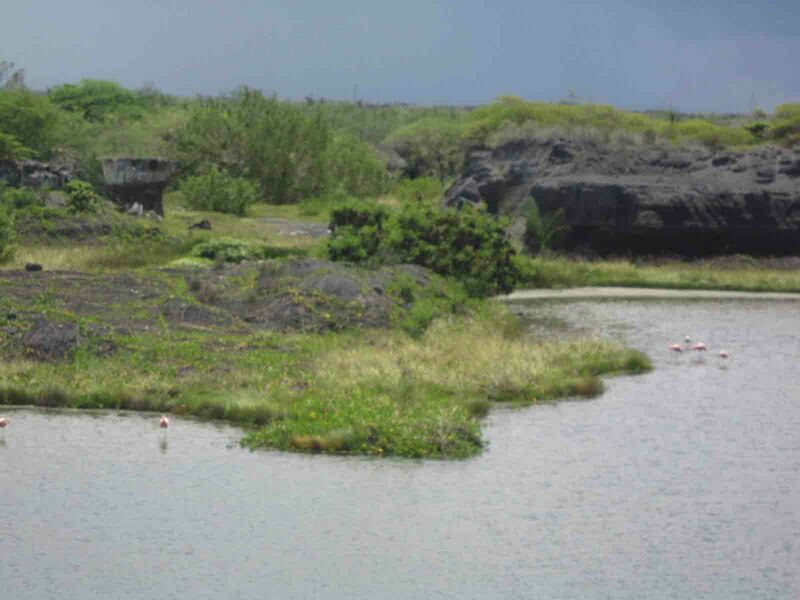 We spotted several flamingoes from a distance…they were really far away so we couldn’t see them clearly. We also came across an animal that resembled a duck but had a red head and it had yellow chicken feet, so that was pretty cool! Lunch time came around so we dropped by a small local restaurant for a set meal. Food was included as part of the cost but don’t expect much. We were given very bland soup (not the best option for a very hot day L), a tasteless piece of fish, beans, and fried plantains. 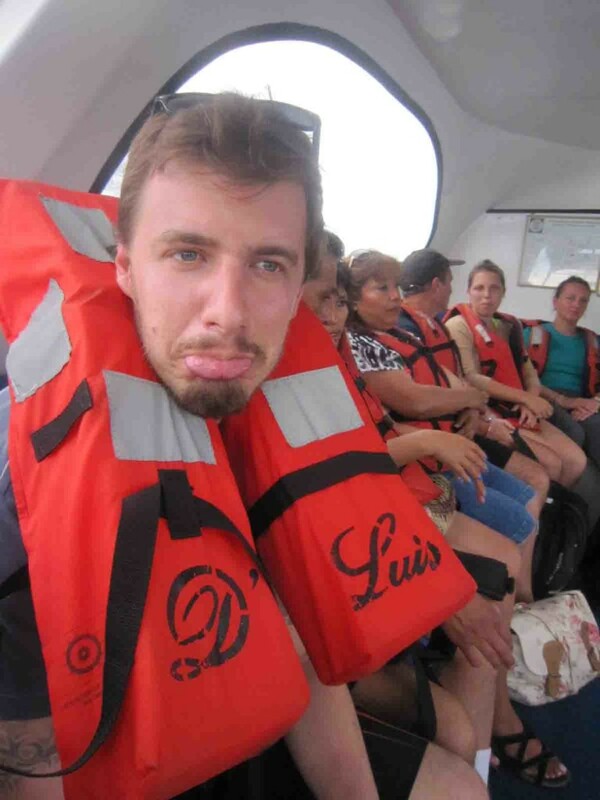 After our not too appetizing lunch, we took a dingy ride to Las Tintoreras. 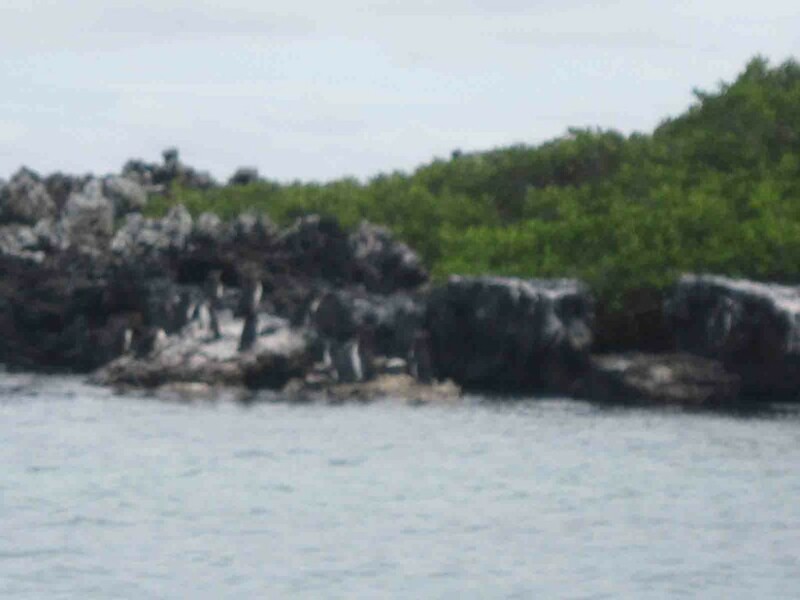 On the way, we saw a group of Galapagos penguins bathing in the sun on the rocks. They were adorable and some started jumping in the water! 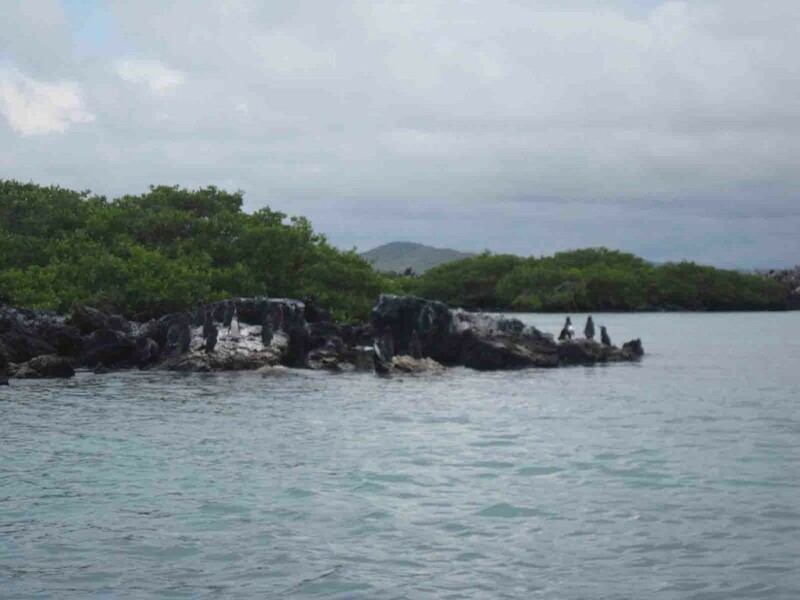 Did you know Galapagos penguins are the only penguins that live in the northern hemisphere?! 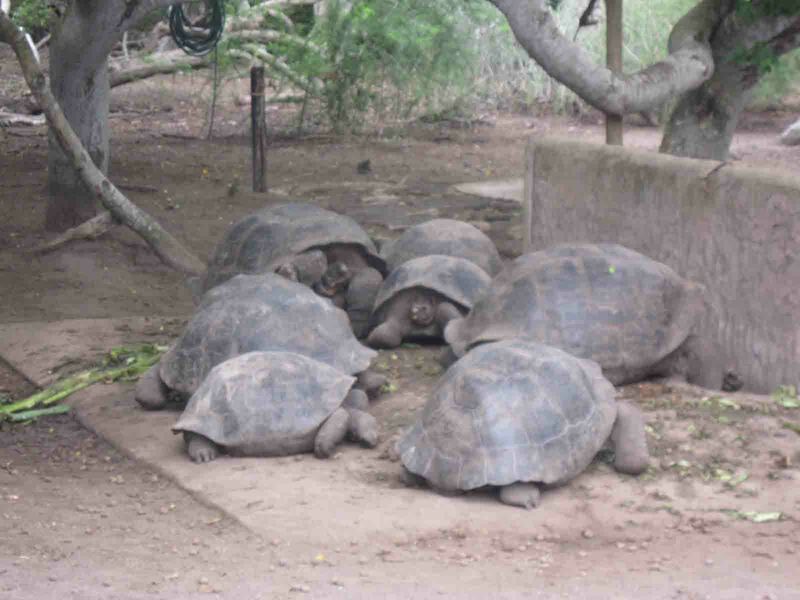 And we thought they only lived in the South Pole! 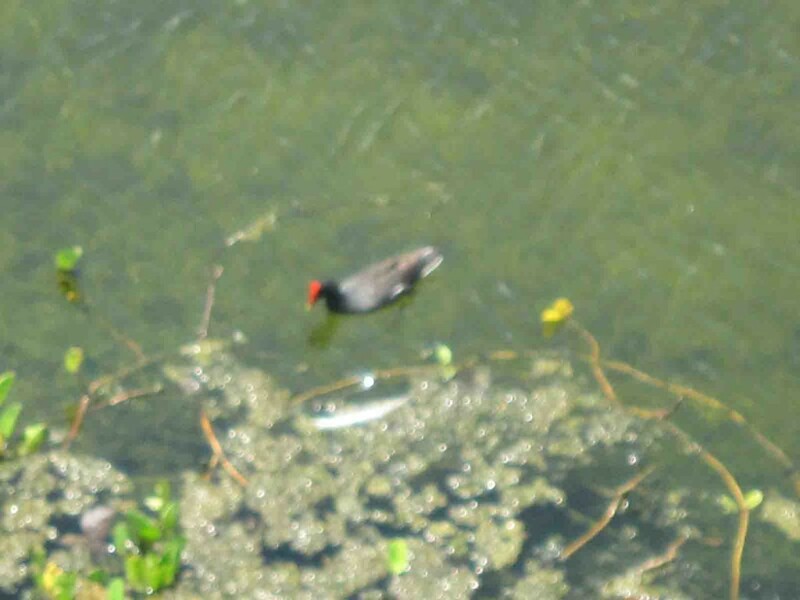 We continued our ride and from a distance, we saw many birds diving heads first into the water, just like a piercing arrow! 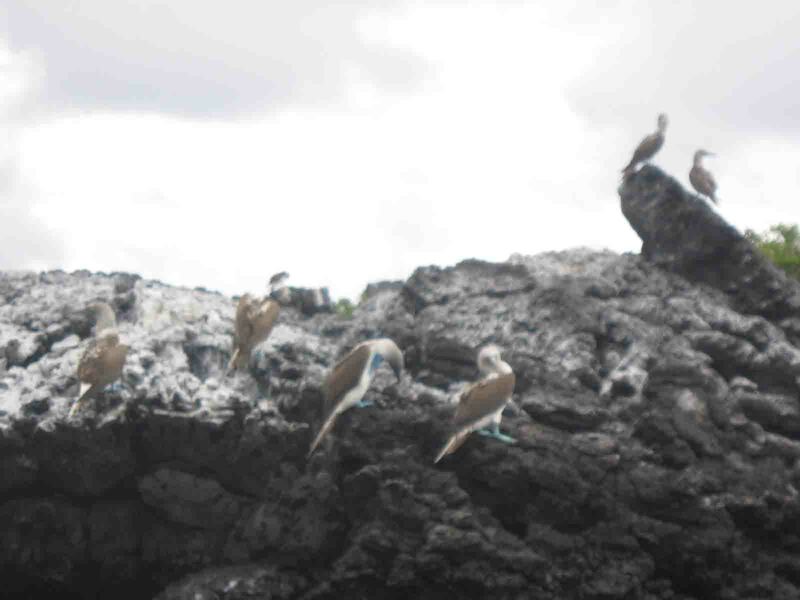 Our tour guide told us those are blue-footed boobies diving to catch their prey. 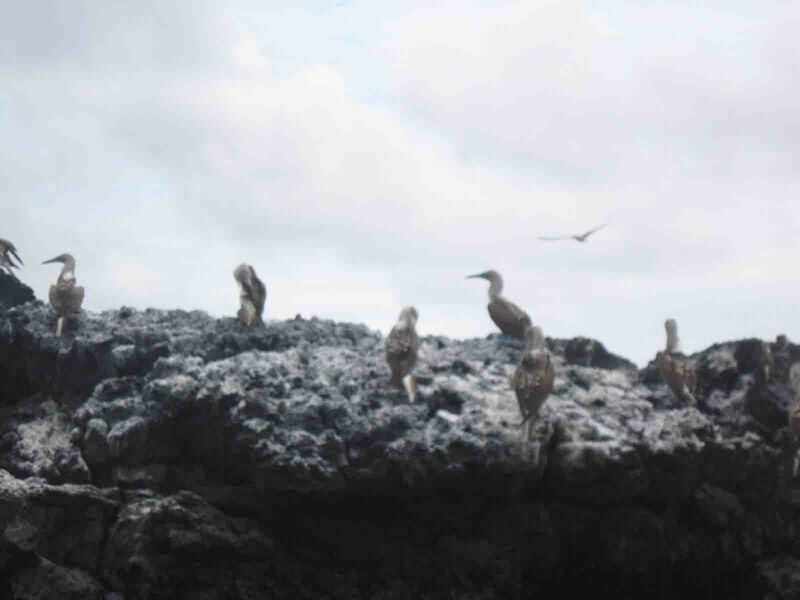 It’s amazing to see how great hunters they are when they are always perceived as a bit silly due to their super cute mating dance (click here to watch my video of blue-footed boobies we encountered in North Seymour!). 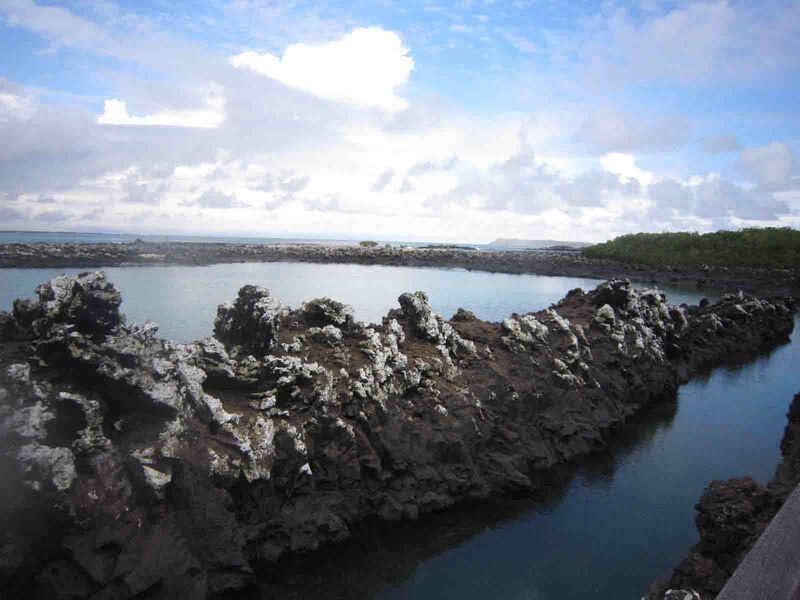 And finally, we arrived to Las Tintoreras where white-tipped sharks are often seen swimming in the lava channel. Unfortunately, we weren’t lucky that day so we didn’t spot any. 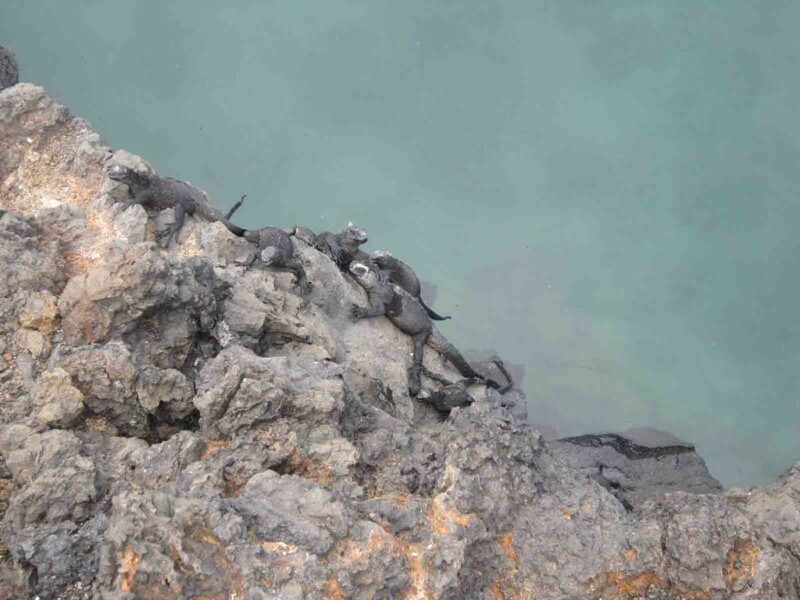 We did see many marine iguanas throughout the trail though. Our last activity of the day was to go snorkeling. We took the dingy ride again and headed off to an area with calmer water. 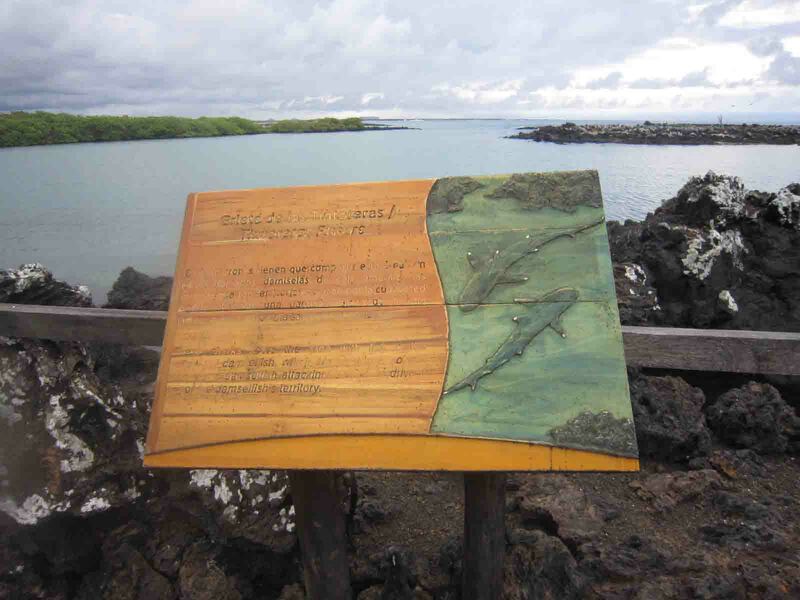 We jumped in and swam alongside some tropical fish and not too long after, our day trip ended and it was time to take our return ferry back to Puerto Ayora. During the ride back, we were fortunate enough to see some wild dolphins jumping out of the water so it was definitely a very magical way to end our adventure!